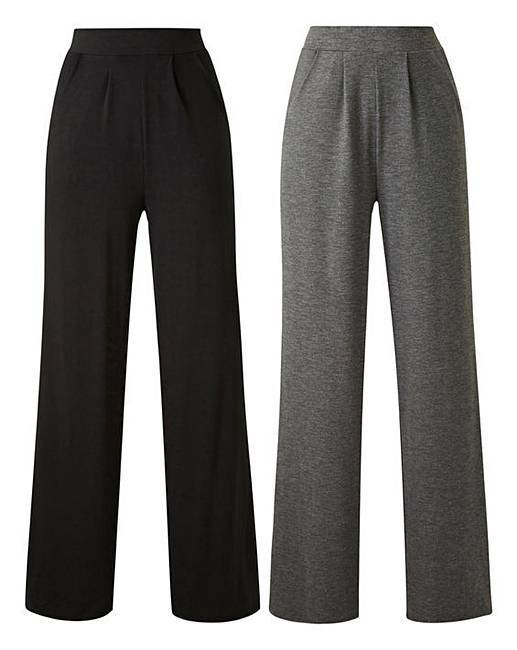 Petite 2PK Jersey Wide Leg Trousers is rated 2.0 out of 5 by 1. Rated 2 out of 5 by MAR47 from Disappointed Very disappointed with these trousers. They are supposed to be petite but the waistband came to under my bust. And the leg length was still too long. I’m keeping them because I can wear them at home. I wonder now if I was sent the wrong ones as they come in (I think) a regular size.